Maintaining your Mercedes-Benz shouldn’t slow you down. And with our Mercedes-Benz Service, it won’t. Wherever you turn you’ll find certified commercial technicians, heavy-duty state-of-the-art commercial equipment, and low commercial labour rates. And you can trust that when we’re called on, we’ll help you get every ounce of power and efficiency out of your work van. Our Mercedes-Benz Service location offers extended hours — so you can make an appointment that best fits your work schedule. Routine maintenance should never slow you down. That’s why our Mercedes-Benz Service offers priority scheduling. With next-day repair appointments, and maintenance appointments within 3 days, our commercial service specialists are ready to get you moving. Should your van ever need assistance, our Mercedes-Benz Service can provide a loaner vehicle to help with the workload while your van is being serviced. Be sure to check availability when scheduling your appointment. Need to know what’s covered in your prepaid maintenance agreement? Maybe you’d like to see how much you’re saving per kilometre. 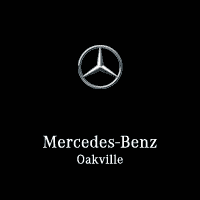 Here you’ll find all of the information about our Mercedes-Benz Prepaid Maintenance. And if you’ve recently purchased your van, there may still be time to add a Prepaid Maintenance agreement to your van so you’re protected from potential future increases in parts and service costs. At Mercedes-Benz, we engineer our commercial vans to deliver reliable performance. But for those looking to extend protection beyond the standard factory warranty, we offer the Mercedes-Benz Extended Limited Warranty, ensuring your van is protected even further down the road. Every attempt will be made for priority scheduling. However, MBC and its dealer network may not be able to offer you priority scheduling each time due to a variety of circumstances. Priority scheduling will be dependent on each dealerships respective availability. Sign and Drive services (flat-tire change, battery jumpstart, and refueling) will be performed at customer’s expense.